With Moon Hawaii's expert advice and local insight, you can plan your trip your way. Just visiting one island? Check out Moon Maui, Moon Kaua'i, Moon O'ahu, or Moon Big Island of Hawai'i. Avid surfer and nature-lover Kevin Whitton has traveled extensively throughout Mexico, Indonesia, and Australia. He's volunteered as a trail guide in a private Costa Rican rain forest preserve and as a snowmobile guide in Colorado's Rocky Mountains. When confronted with the choice between living in the mountains and visiting the beach, or living at the beach and visiting the mountains, Kevin refused to choose, deciding to call O'ahu home instead. Now when he waits for a wave at one of his favorite windward or North Shore surf breaks, he can gaze at the verdant mountains and revel in the best of both worlds. 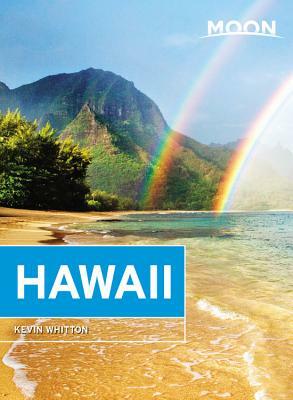 Kevin is the author of the award-winning Green Hawai'i: A Guide to a Sustainable and Energy Efficient Home and A Pocket Guide to Hawai'i's Botanical Gardens. He writes for Hawai'i's most notable publications, is active in the island's surf media, and is the co-founder and editor of GREEN: Hawai'i's Sustainable Living Magazine.